40 comments on "Inside our new cabin: Thoughtful touches for the modern traveler"
Wow, this is disappointing. First, you change all the flight schedules from DCA and IAD to SFO and back making them much less convenient (who waits to fly cross country until 9:30 or 10 am on a Monday morning? ), and now you focus on cramming more people into the plane and remove the features that kept me loyal to Alaska after the Virgin buy out. The consistent upgrades to first class due to my mileage plan status are less of a draw looking at this. 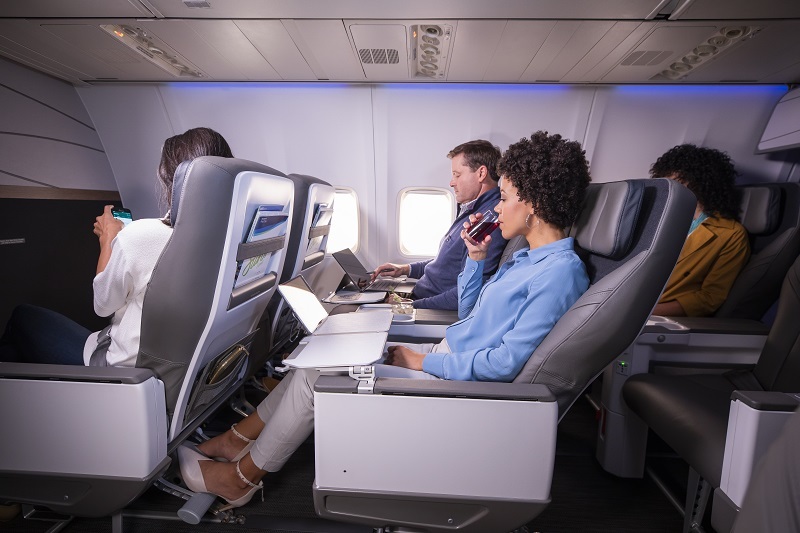 The monitors and entertainment options, as well as the first class seats, were the primary reason I remained loyal, with those gone I’m going to have to weigh my options regarding carriers for my business flights. Also, you’re wrong. I don’t want to watch movies on my phone on cross country flights, and I certainly don’t want to pack an extra tablet when I have efficiently packing in only carry-ons for a week long trip down to a science. This is ridiculous. Recaro seats are not comfortable. The first class seats could have been at least two more inches wide and you have crammed in more seats on the entire plane giving much less leg room. The holder for a tablet or phone will not work very well when the person in front of you lays their seat back into the now less space. What’s up with the “divider” between the first class section. Who’s going to pay over $1,200 to have three seats right behind them? Even the food trays are marginal. What happened to the awesome Alaska Airlines that we have loved for many years! Give me an old 737 any day. I’m not sure how you can laud the comfort of the new seats without addressing that they have been reduced in size by two inches. Virgin planes made it possible for people to fly comfortably who struggle on other airlines. I’m a committed Alaska customer but it is a disappointing change in the wrong direction to, when given the opportunity, reduce seat size. I agree the seats, otger than first class there are no serious changes for comfort. So the head rest adjusts, the seats are not wide enough to include a reasonable recline on long 5 – 6 hour flights. Comfort has gone out the door in favor of profits. Please bring back at least one “regular” beer on your flights…budweiser, Miller Lite, Coors. Not everyone likes craft beers!!! It looks like first class now has 3 rows instead of 2 – and much less space between rows. That’s unfortunate as one of the best parts of the current seat configuration is being able to get out of the row if you’re in the window seat, without the person in the aisle having to get up. I hope the new seats make up for it. 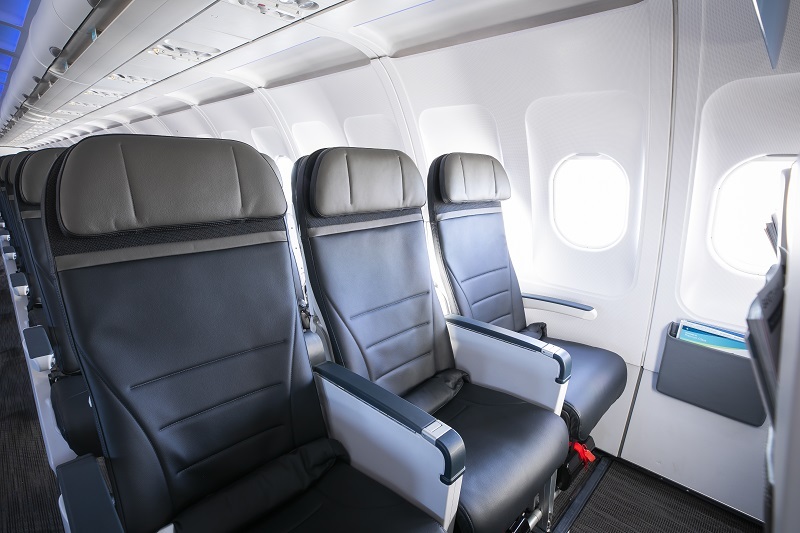 Being 5’0″ tall – the foot rests might make flying more comfortable than just the leg rests do. Looking forward to trying out the new set-up. I’m interested in knowing how economy seats have been made more comfortable as I can’t afford to fly first class. Also, I’m disappointed to see the addition of basic economy seats. More leg room is needed. At 6’2″ and 315 lbs. I need all of the room I can get. Those new seats are excellent. Thanks for considering us big guys. My two metal hips need more room also. While it’s all good these improvements. The lack of a proper pocket in the front is a problem. My biggest gripe is that I’ve noticed the planes don’t seem to be cleaned properly anymore between flights. This is something I noticed with the last year as a frequent traveler on Alaska. Maybe you switched companies or not giving them enough time. But it is noticeable. You can even smell the bad odor many of the times. Please spend some attention to this. If you’re at a window seat you can see all the stuff people dropped on the side..
Any update on when we’ll see the new crew uniforms in service? Hi Michael, you can expect to spot them in early 2020.
airbuses are AWFUL! you should stick to Boeing aircraft! So, how is having less leg room in F and seats that don’t recline as much an improvement? Hi Andy. Research showed our guests value price, schedule and network more than a lie-flat product for domestic, transcontinental flying. 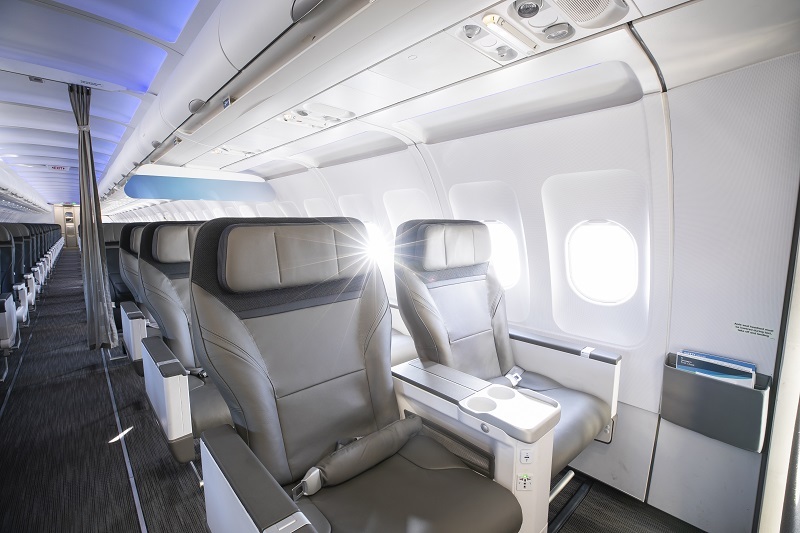 Lie-flat seats are not a strong consideration for transcon flyers, even those flyers who tend to choose first class. Comfortable seats were a top consideration, however. The pictures of the first class interiors on the old virgin planes look wonderful. They make almost wish I hadn’t retired several years ago. I’m really disappointed that you took out the lounge chair style seats in first class and replaced them with just another airline seat, no matter what it’s made of. Virgin America had it right and you just became yet another airline in the US. It’s time that airlines in the US got better not worse and you could have led the pack. Hi Karin. Good questions! The first row will unfortunately not have a foot rest due to the bulkhead, as you noted. 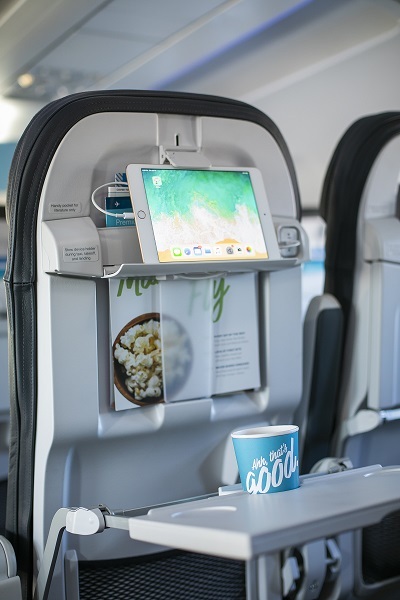 They will have a tablet holder connected to their tray table. 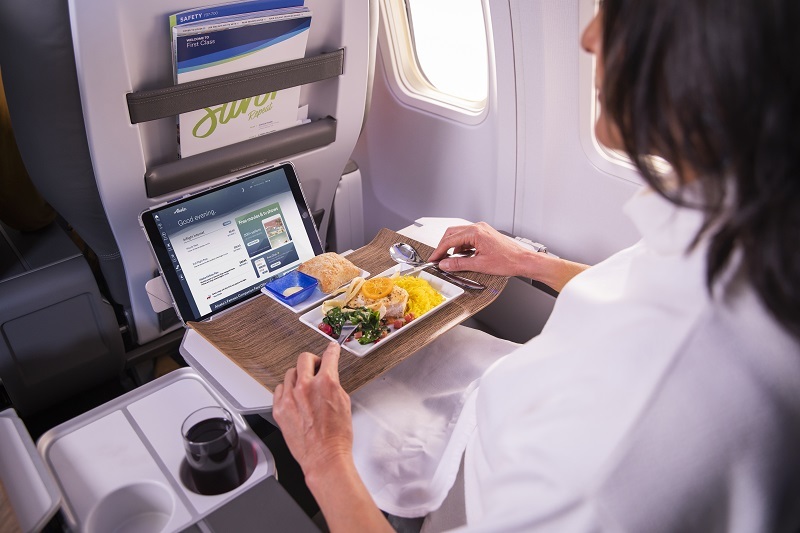 Please let us order food online when we make reservations for our flight s- right now, it’s only available on the App…easy to forget. Also, please do not make everything spicy … mild only – offer packets of hot chile pepper flakes/sauce or something if someone wants it hot. I have a severe speech impediment. Calling Alaska is not a good option for me. I understand Alaska has NO chat line. Correct? Hi Eddie, thanks for reaching out. You can text your reservations questions to 82008. Does that help? Hi Timothy. 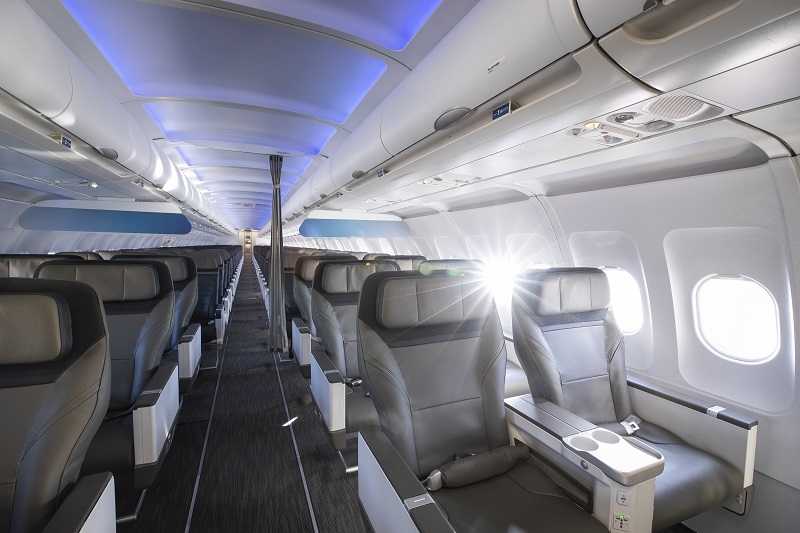 While I can’t say exactly when a retrofitted plane will serve the MCO to SFO route, our Airbus fleet of A319, A320 and A321 aircraft are being updated in phases this year and by early 2020, 36 percent of the mainline fleet will feature the new cabin interior – including the entire Airbus fleet, Boeing 737-700s and three new Boeing MAX 9 planes. The seats in your newer 737s are the MOST uncomfortable seats on someone’s back in the world. We always hope that we will get on an older plane and have the original seats. Please bring them back. Would love to try these on the Airbus planes. We hope you enjoy the new seats. I just sat on one myself for 2 hours and loved it! You sat on the new seat for 2 hours and loved it, but were you in a row with very little leg room and people right on top of you next to you so tou couldn’t move much? That is the ultimate test. It was a full flight and I was in the back of the plane. I was pleasantly surprised by the seat comfort. I loved the original airbus seats esp. The 1st class seats which were near lie flat perfect for red eye flights. But we cant let those high exoectations stand. Im with Koob recardo cant nake a comfortable seat. Ive got the medical bills to prove from flying koa to bos. Seriously dont have a car firm make aircraft seats. Get a company that makes a wide seat with a decent leg room. Then use air not heavy foom to contour your body.it weighs less then fooms. Hi Terry, we appreciate the feedback. 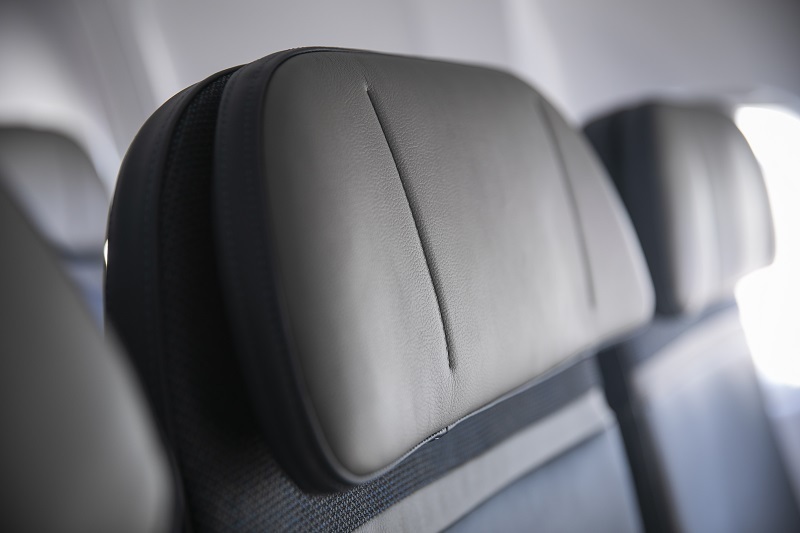 To clarify, we worked with German seat manufacturer Recaro, with decades of experience designing airplane seats. We just took inspiration from the car industry. Have you tried our vegan/dairy-free popcorn, organic potato chips and all-natural beef jerky? I agree with Terrydabear 100%. How can you take away near lie flat seats and say that a chair is more comfortable? You’ve shrunk the pitch over 20 “.